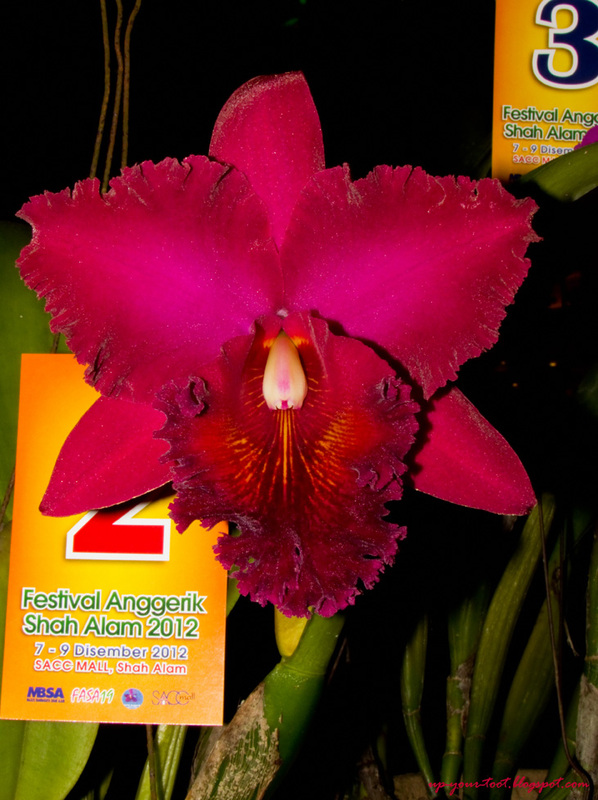 The 19th Shah Alam Orchid Festival (Festival Anggerik Shah Alam ke-19 aka FASA19) is currently on at SACC Mall in Shah Alam from the 6th - 9th of December 2012. 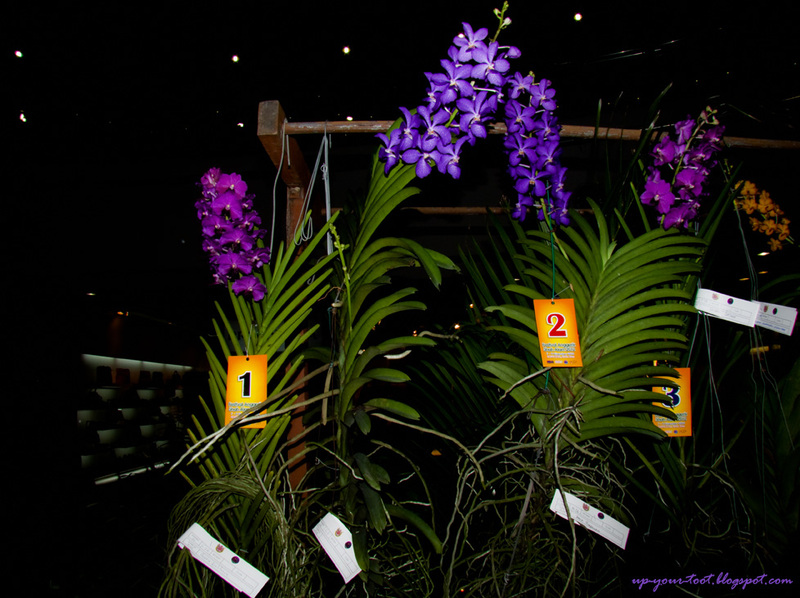 The theme for this year is Dendrobiums, hence there's a whole lot of Dendrobiums placed on the centre court of the shopping complex atrium. The best plant award goes to a Dendrobium macrophyllum - the flowers are a little 'scary' with hairy buds and pedicels, but pretty in an ugly duckling way. Also, this specimen plant is huge. The first day (6th Dec) is when they set up the show plants and the judging of these plants takes place. 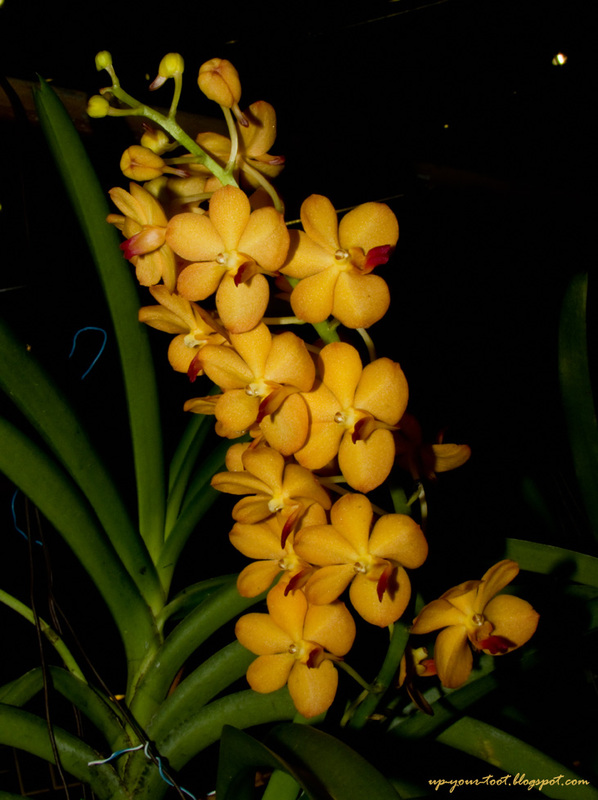 There is a stall that sells orchids located in the vicinity of the exhibition area for those who want to increase their orchid collection or have decided to delved into growing orchids as a hobby. Vascostylis Prapawan - the label says Asco. Prapawan, which is incorrect. 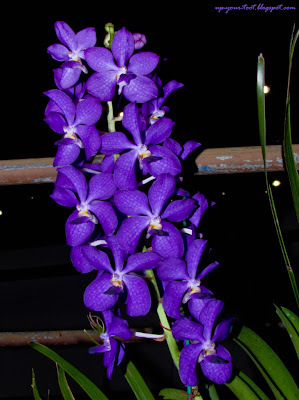 This is a vividly blue-lilac Vascostylis that comes from crossing Vascostylis Tham Yuan Hae with Vanda coerulea. So here are a few pics of the plants on show. 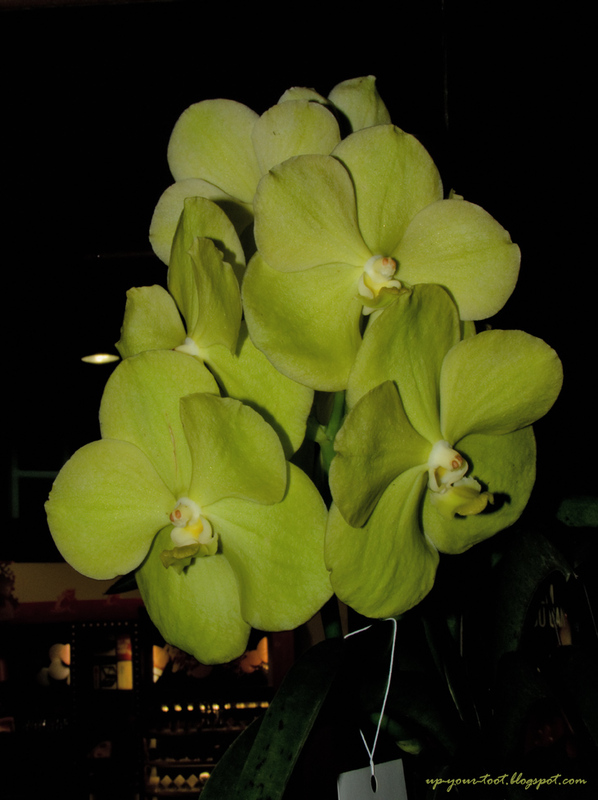 I will upload more as I go through the 200 over photos of orchids in various shapes, sizes and colours. 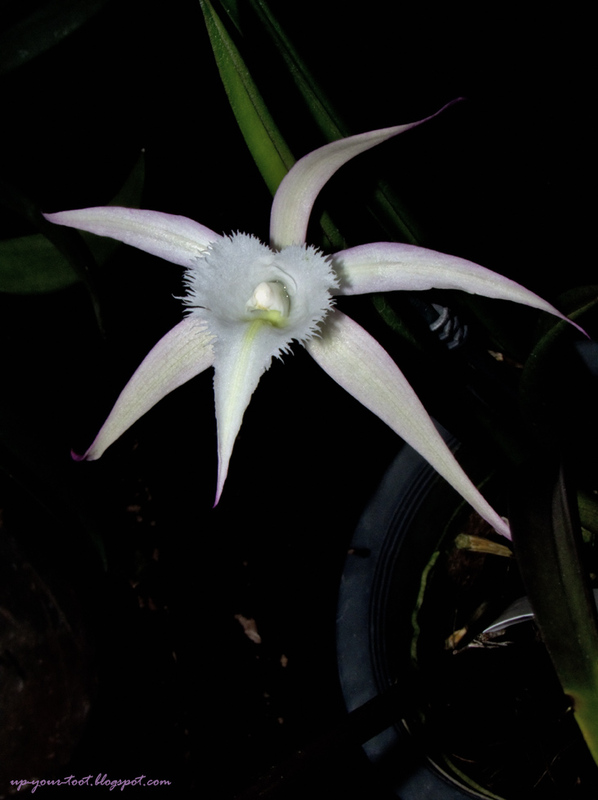 Rhyncholaeliocattleya (syn. Brassolaeliocattleya) Chia Lin - this is the 1st place winner for its category. 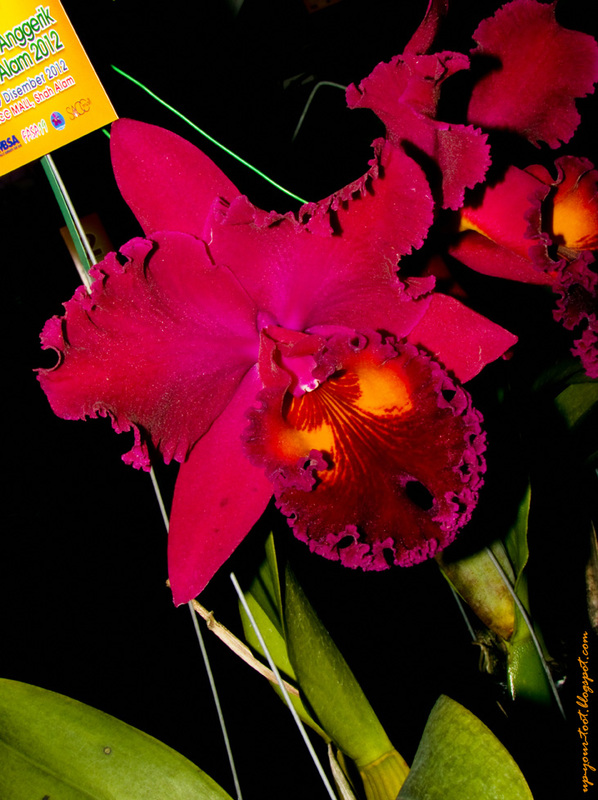 It is a large-flowerded Cattleya type, and various clones of this hybrid exist. The tag reads Blc Cairling or something that sounds like that. Poor flower, her name got mangled by its owner or the seller. Rhyncholaeliocattleya (syn. Brassolaeliocattleya) King of Taiwan. 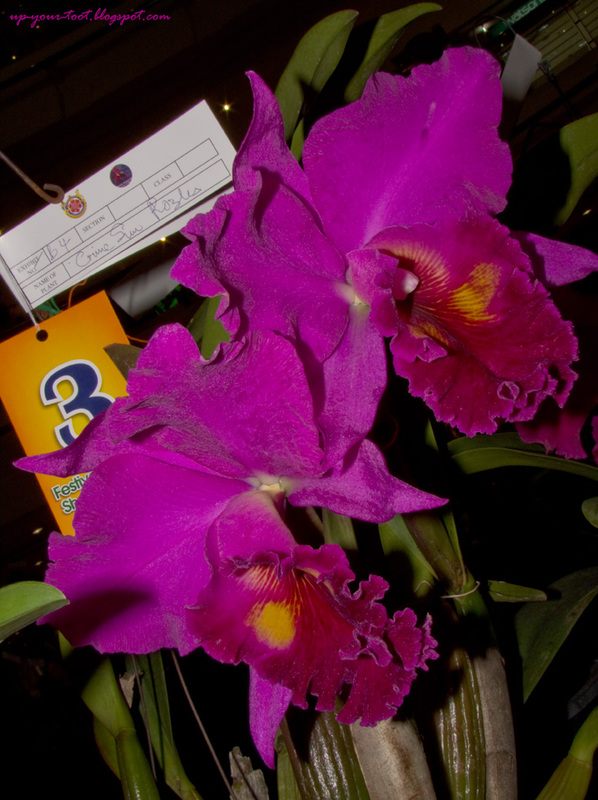 Another winner (2nd place) and a showy red-burgundy coloured Cattleya. Here's another beautiful Cattleya-type orchid with its name 'mangled' by its owner or the seller. I took one glance at the flower and thought it was one that I had seen before. Took a second look, and then checked the tag. The tag (you can see it in the picture) reads something like Crime Sin Rozles. Based on the appearance of the flower and how the name got 'mangled' it should be the lovely Rhyncholaeliocattleya Memoria Crispin Rosales. A real Crime Sin indeed!!! Vascostylis Pearl Cooper - the tag gives the name as a cross of Rhynchostylis coelestis x Ascocenda Pralor. I love how the yellow petals look so good with the reddish-orange lip. An unnamed hybrid in the exhibition. It looks like a Rhyncovola (syn Brassavola) David Sanders, based on the lip and the leaves on the plant. Vandachostylis (syn Rhynchovanda) Herbert Kurihara - this is the 1st place winner for the Vascostylis/Ascocenda category. The plant was labeled as Vascostylis Kulihara! The parents of this cross are Vanda Winifred Kurihara and Rhynchostylis coelestis. 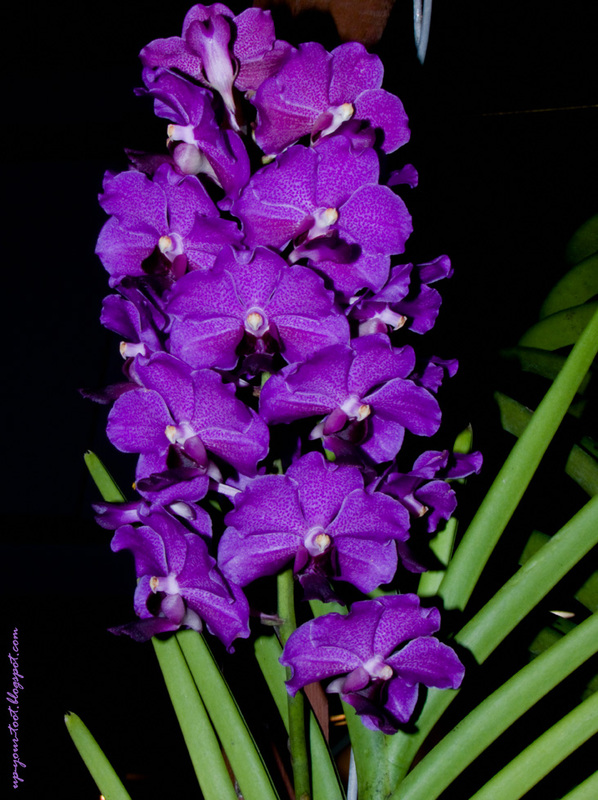 Vanda Winifred Kurihara is a 3/4 terete Vanda made by crossing Vanda Nellie Morley with Vanda Miss Joaquim. The white outline on the petals and sepals plus the darker chartreuse-quartered lateral sepals of Vandachostylis Herbert Kurihara are reminiscent of Vanda Nellie Morley. 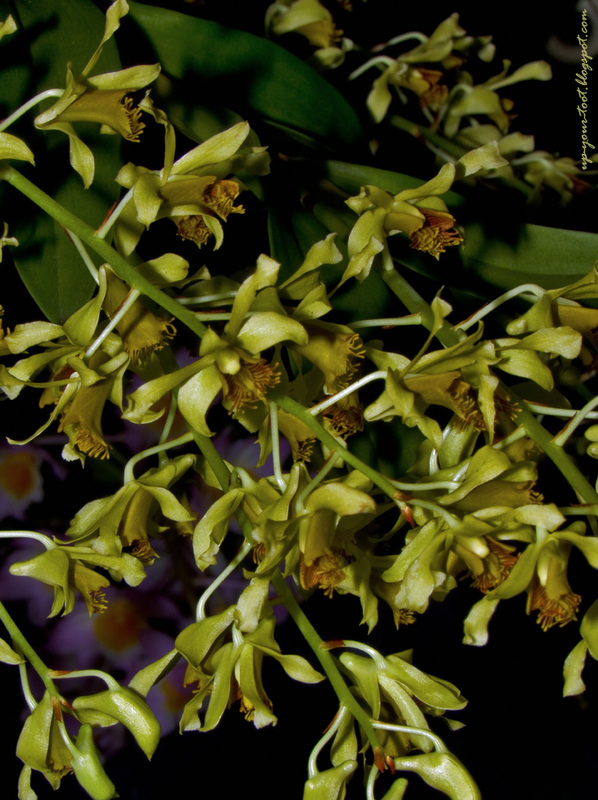 Dendrobium venustum - and interesting Dendrobium species with frilly lips and long cascading inflorescence. Ascocenda Somsri Gold. A beautiful lime green-lemon yellow large-flowered Ascocenda that looks like a Vanda. For the Vascostylis/Ascocenda category, the first and third place were taken by two diffferent clones of Vandachostylis Herbert Kurihara (both labeled wrongly, one as Vascostylis Kulihara and the other as Vascostylis Herbert Kulihara). The second place went to a Vascostylis Prapawan (labeled as an Ascocenda!). There were two Vasco. 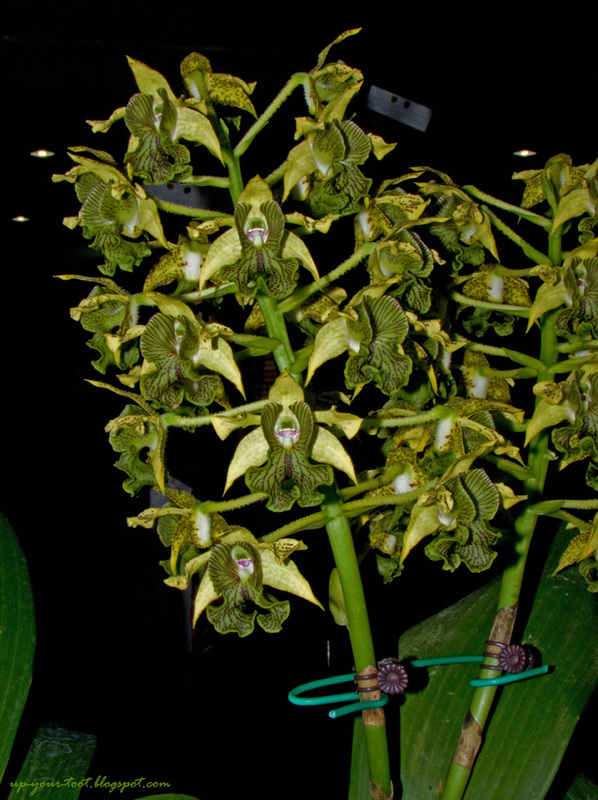 Prapawan and two Vandachostylis Herbert Kurihara entered in this category. 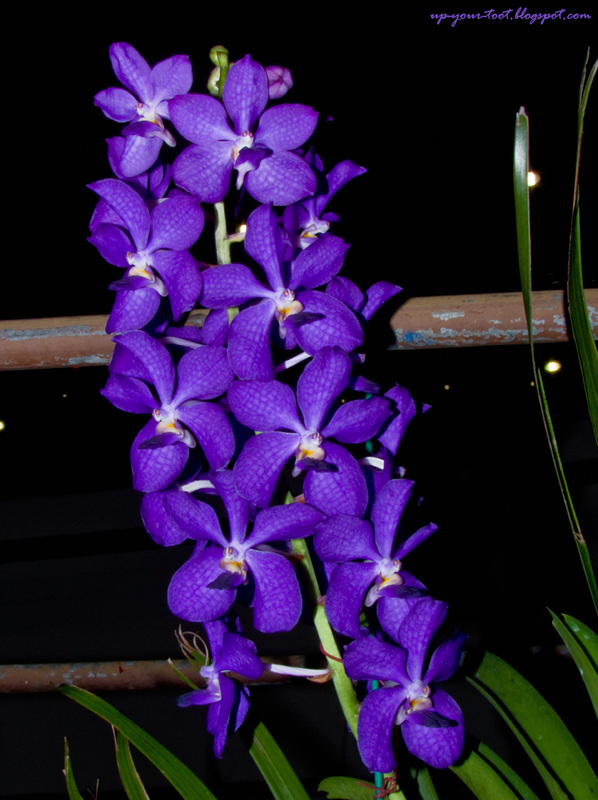 So if you have some time to spare, and love orchids, do drop by Shah Alam City Centre (SACC) Mall this weekend to have a look at the orchids on display there for the 19th Shah Alam Orchid Show (FASA-19). Macam nak pergi dekat saja tapi tak larat nak gerakkan 3 kids under 5 years old...hehehe...sebab Sean ambik gambar banyak jadi saya tumpang tengok sekalilah. I can understand how difficult it is to move kids. Adakalanya 'kids' dewasa pun payah nak gerakkan, apatah lagi yang under 5 yrs old, hehehe. Ada bawa balik koleksi idaman baru ke this time around? Wow, I wish we can easily grow Paphs and Miltoniopsis over here, it is just too warm. I can understand that urge that one gets to buy orchid, especially when it has been lingering in your mind. I am sure they will do well for you despite the cooler weather, and probably will pick up when the weather warms again. The orchids are gorgeous. Glad you went so now I am rewarded with the nice pictures and a running commentary. This season with rain every day is damping off my gardening enthusiasm.